When did you decide to start a succulent business? We started around 12 months ago - at first as a hobby, attending a market here and there. 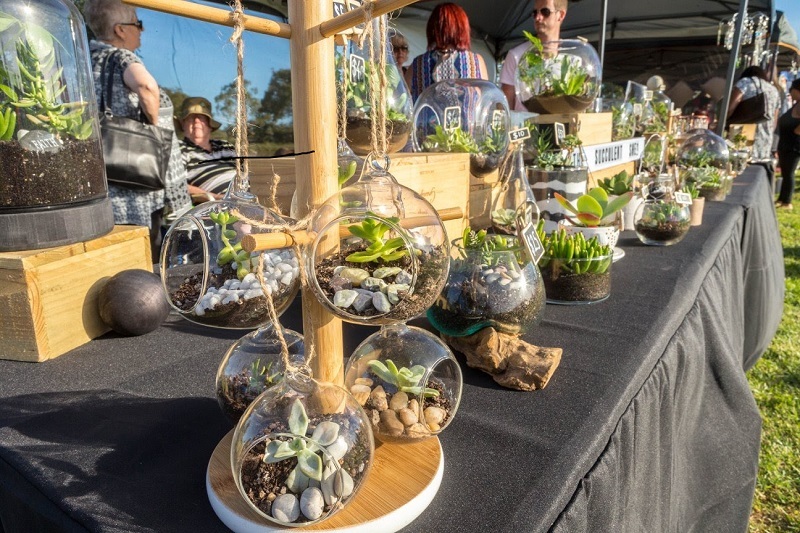 We just loved creating little succulent gardens - bringing the outside into our own home. We really just wanted to do that for other people. What is your fav part of your business? I love creating new terrariums and succulent. No plant is ever the same and you can make so many beautiful arrangements. It's so relaxing to plant a little garden you know someone will cherish in their home or office. How do you select your bowls/pots? I tend to pick very natural bowls and glassware so that pieces are modern, sometimes rustic but always functional. 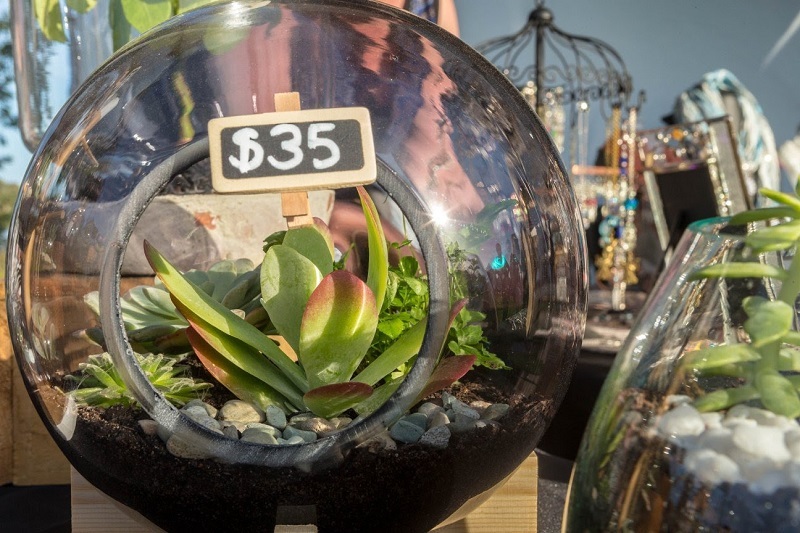 We want the plants to be the hero of our arrangements and so always make sure any pot, bowl or glassware still allows the succulents to stand out. Are there certain succulent types that are your fav? I LOVE flapjacks. They are a strong, green leafed succulent with a wonderful red line around the edge. I'm also a sucker for Haworthias. They're green and spikey but have a beautiful white speckle. Any tips on looking after succulents for people that purchase one (or more) of your creations this Sunday? Remember, Cacti and Succulents should always be very low maintenance. Through the summer months, arrangements just need a good spray of water once a week with a spray bottle. In the cooler months, lightly spray every 3-4 weeks. Soil should NEVER be wet or damp. Succulents will drown and die if the soil they're in is too wet. Give your arrangement a home where they receive filtered light and your succulents will thrive! !